Do you feel tired and disinterested in life? Do you feel empty inside? – numb? – despairing? Does it feel like there is no hope for you? Would you like to turn your life around, but can’t see a way to do it? Does it feel impossible to make decisions or concentrate on anything? Do you find that all your thoughts are negative, about yourself, your life and the world? Do you have problems sleeping? – or maybe sleep too much? Do you ever contemplate harming yourself? If you’ve answered yes to some of these questions, then you may be experiencing what are amongst the most common symptoms of depression. It is of course true that all of us can from time to time feel below par, we feel ‘down’ or unhappy about they way things are in our lives. But thankfully for most, these are transitory feelings that don’t last for longer than a few hours or a couple of days. However, if you feel a cluster of these symptoms in an on-going way, then the information in this article is for you. There is a way back from depression, but in order to find your way onto that path of recovery, it is important to understand it and to know the things you can do for yourself to begin to feel better. Of course it may also be the case that you enlist the help of others, be they friends, family members or professionals – but you yourself must be central to the healing process. There are a number of kinds of depression including: depressive episodes, major depressive disorder, SAD (seasonal affective disorder), bipolar disorder (formerly called manic depression) and postnatal depression. There is also the kind of depression that is induced by substance and drug mismanagement/misuse. i) Reactive depression – which is that state of mind that arises as a result of ‘something’ happening in an individual’s life. That something may be bereavement, a relationship break-up, the loss of a job, losing a sense of purpose or a trauma of some other kind. It is sometimes easier to understand this kind of depression because both the sufferer and those around him/her can make the link between the event and the depression. Reactive depression is also known as exogenous depression. ii) Endogenous depression – it is often more difficult for both sufferer and those associated with him/her to understand and find compassion for the kind of depression that appears to have no ‘cause’, no reason – this is known as endogenous depression. Endogenous, in this context, means a state of being coming from within, rather than stimulated by an external source. This difficulty in pinning down the reason may add to the distress of the condition and often it seems to the sufferer that there is no hope of ever finding a way through. It should be noted here though that despite the fact that no obvious cause is immediately apparent, there always is a reason or a cause. We live in a cause and effect world, and though it may take some time and investigation to find the cause, (whilst one is being afflicted by the effect), the cause is always there… but we have to dig a little deeper to understand it. Some of the causes of depression have been suggested above but hopefully it will be helpful to expand on this to enable you to understand that depression has many causal factors, and each individual’s depression will likely be attributable to several of the list below. Our experiences as we grow up shape our personalities, our ways of being, our attitudes, moods and approach to life. If the messages we’ve received from those around us (primarily parents, guardians, teachers and wider family) are not positive and do not celebrate our uniqueness and our value, a creeping feeling of low self-esteem and worthlessness can result – which can and does become a major factor in depressive states. See: The 3 As and Mixed Messages. If those around us as we grow up are experiencing depression or mood swings or an inability to cope, we can and do ‘learn’ to become depressed too. We are constantly absorbing data from the world around us consciously and particularly unconsciously. We copy and model ourselves on those important people in our lives such as our parents, relatives, guardians and we are therefore heavily influenced by them and their mental health status. See: The Journey of Becoming. Much of the literature on depression talks about a genetic predisposition to this condition – that is, if there is a family member or several family members who have experienced depression then we are more likely to also become victims of it. Whilst there is undoubtedly a genetic component, the new science of epigenetics is showing us that ‘we are more than our genes’. How our genes express themselves and play out in our lives, is largely dependent upon the nurturing we have been exposed to and the lifestyle choices that we make. Lifestyle factors include, our diet and nutrition which impact on our genetic expression, the nature of our thoughts and feelings equally influence how our genes respond and the level of toxicity in our bodies is also pivotal in this story… so we can begin to see that there are many things we can do to persuade our genes to work for us and not against us. This means, depression is not a foregone conclusion. The items listed here begin to illuminate those endogenous components that may in fact be both the triggers for depression, as well as the factors that sustain it. See: Epigenetics and Persuading The Body. As mentioned above, our nutritional status, which includes the level of the body’s hydration, plays a very significant role with regard to our mental health. If you are dehydrated or depleted in vital vitamins and minerals, how can your brain deliver to you all that you ask and require of it? The family of B vitamins helps us to manage stress and balance mood. If we are deficient in these vitamins we will struggle to find our equilibrium, even if we are trying our best to resolve our psychological issues. A very small decrease in water intake (below the amount required daily which on average is a minimum of 2 litres) has been shown to negatively impact our mental and cognitive processing and therefore our perception, personality and performance are all impacted. If our diet consists of processed foods (white bread, white pasta, ready meals etc, quick releasing carbohydrates, foods containing refined sugar) then our blood sugar will respond accordingly. It will spike, but then just as quickly crash… and our mood is the casualty of this as it follows this pattern. So balancing blood sugar is again very important if we are to manage mood swings and low mood. There are subtle (and significant) hormonal changes in the body that can also impact negatively on the delicate balance of our brain chemistry, and this can also lead to the feelings associated with depression. Cortisol and adrenaline are examples, which are well documented in the research literature for having such an impact. For more explanation on the neurobiological dynamics, see: Anxiety – addressing causes not just symptoms and Panic Attacks – and how to overcome them. These are just a few of examples of how brain/body chemistry plays a role in our mental health. There are literally hundreds more. Neuroplasticity means that our brains are malleable, how they are configured is not set in concrete, it’s not unchangeable. The more we take control of the nature of our thoughts, the more we create new neuronal pathways in the brain, literally re-wiring it, so that our old, habitual ways of thinking and behaving can be changed, transformed (see: Helmstetter, what to say when you talk to yourself). As a result of thinking differently, more positively, there is a biochemical consequence in the body, which will influence how our cells respond and how we feel. The ground-breaking research in neurogenesis (the renewal of neurons) is further demonstrating our incredible ability to change. It was once thought that the brain was not capable of creating new neurons (brain cells) and that myth has been shattered and a new paradigm has been installed. See: Neurogenesis and Exercise. 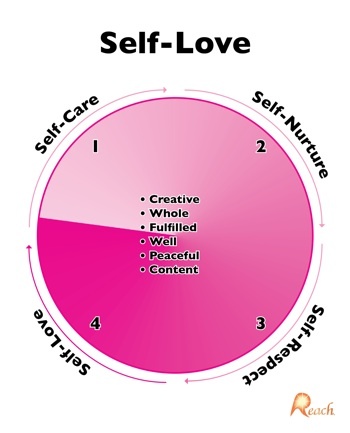 The solution – self-care is the key! This article is not meant to diminish how those suffering from depression may feel, because we know from our clinical experience that this can be a very dark place. That said, we are in the business of offering hope and solutions – helping individuals to see that they have some power over their own destiny. If you decide you are going to take some control over your own health, even if you are already receiving help in some form, then this video The Power of Choice would prove a useful addition to your toolbox of solutions. This recording, over the last 20+ years, has helped literally tens of thousands of individuals across the world. Often the medical profession’s answer to depression is anti-depressants – and for some this does work. But for many more, anti-depressants just become a way of life and yet the symptoms of depression persist and are often compounded by the side-effects of the medication. Professor Irving Kirsch calls into question the effectiveness of anti-depressants as a primary tool for dealing with depressive states. He also questions a system that has such a low threshold for what is considered ‘effective’ medication. For those interested in this topic, his book is well worth a look. (See: The Emperor’s New Drugs). If you want to take back some control and persuade your body and mind to cooperate in your recovery and well-being then self-care is the key. Self-care means doing those things that are important to mind, body, spirit and environment on a daily basis. Consistency is critical if you are to effect any lasting change. So this means deciding on those things that will uplift your mind, body and spirit and making sure you do them regularly and with sincerity. This means making a promise to yourself that you won’t break – you won’t let go of these positive habits no matter what. The Story of Health is a wonderful model to base your plan around and will help you to decide what you need to do in each area of your life. It is only by developing an inner culture of kindness and care for yourself that you can change the course of your journey, steering it away from depression and towards innumerable, more positive possibilities. If you want to fulfill your potential, you need to do something differently, exercise the power of your choice and take care of your mind, body and spirit, and do this with regularity and consistency and over time, miracles will begin to emerge in your life. (See: Change Through Compassion and Miracles Are Made). Here is a list of some things that need to be a part of your recovery plan if you are to transform the heaviness and pain of depression into a life with meaning and purpose. 1. Always drink a minimum of 2 litres of water…. every single day – because the brain can’t work properly without it. 2. Eat the best diet you can. Eat whole, unprocessed, colourful foods, which contain vitality and goodness. Avoid processed foods. Minimize caffeine and alcohol. 3. Exercise – just a little each day is enough. A brisk walk, a swim. It’s important to realize that too much exercise is as counterproductive as too little. So find a balance that works with your lifestyle. See: Exercise and Happiness. 4. Consider supplementation. All supplements are not made equal. So don’t make the mistake of buying the cheapest product. Research what you are taking and where possible choose those supplements that are ‘foodstate’ or made from wholefoods. The need for supplements exists because our soils are not as mineral rich as they once were and so to expect to get everything we need from our food is simply not realistic. See: The Truth About Supplements. 5. Look at the relationships in your life… are they kind, uplifting and fulfilling? If not, do what you can to rectify this. If you can get the help you need from within your family or friendship groups, then have the courage to ask for their support. You may, however, need more than that, such as joining a support group to gain some clarity and perspective, or seeking one-to-one professional help if that is appropriate. 6. Do you have a direction in your life, a passion, a strong interest? We all need meaning and purpose to keep the spirit buoyant and uplifted. Find out what your passion is. This may take some time, some consideration and reflection, but there is something that you can do, something that will light up your life that is unique to you. Spend some time looking for it because it will reignite your spirit. 7. Do something kind… every day! Just a little act of kindness, both to yourself and to others, is good for the soul… it will also mean that healing hormones (such as oxcytocin and dopamine) will coarse through your body, and contribute to you feeling ‘alive’ and simply better. 8. If at all possible, find a way to sit in nature. This might mean sitting more often in your garden or visiting the local park, taking any opportunity to be surrounded by the beauty and peace of the natural world. Science is now catching up with what we have intuitively known about this pastime and is telling us that it is healing for mind and body to resonate with the glory of nature. See: Ecotherapy. Our wish is that you have taken from this article some hope. Living with depression can be a very lonely and desperate place but as we have outlined here, there are many aspects of our own mental health we can take control over ourselves. And that very act of taking some control will itself bring a sense of achievement and empowerment. It is also important to note that nature itself has a wonderful pharmacy of antidotes for all our ills. There a several herbal remedies for depression (such as: Passiflora, St. John’s Wort, Kava Kava and Bach Flower remedies) that are very effective and in most cases have no side effects of any kind – unlike virtually all man-made medications. You may want to investigate some of them yourself but please consult an appropriately qualified practitioner to help you choose what is best for you. We wish you well on your journey and if we can be of any further help, please don’t hesitate to contact us.